Martek were one of four speakers at the Croydon Export Seminar on Friday 8th November 2013. 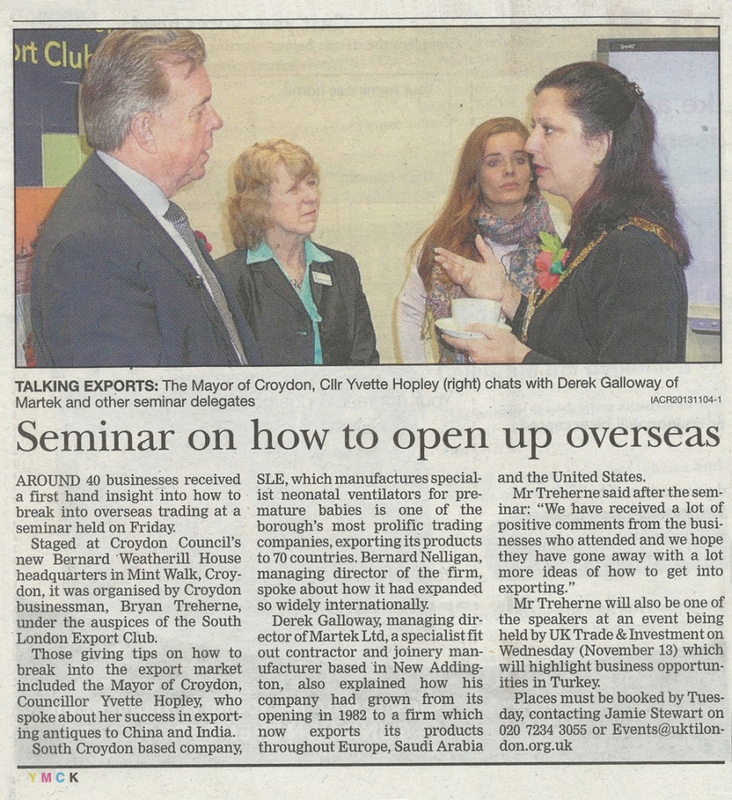 Organised by the South London Export Club, the event was held at Croydon Council’s new Bernard Weatherill House headquarters where around 40 businesses attended to gain advise on how to open up overseas. Martek have been building and installing great concession stands, box offices, VIP bars, restaurants, coffee shops, ice-cream parlours, pick and mix systems and other profit generating areas for over 25 years, and have worked all over the globe with the very best independent operators, national circuits and multinational exhibitors – over 600 major projects for 60 operators, in 23 countries and on three continents. Once again, Martek can be found on stand 419F – if you would like to arrange a meeting during CinemaCon 2014 to discuss your next project then please email Kirsty.Carnell@martek.co.uk to arrange. Martek’s managing director, Derek Galloway presented Martek’s experience of exporting throughout Europe, Saudi Arabia and the United States.